The Toronto Blue Jays have acquired OF ADRON CHAMBERS in a trade with the Houston Astros for INF Will Dupont and LHP Alejandro Solarte. The outfielder is expected to join the Buffalo Bisons in Toledo in the next couple of days. 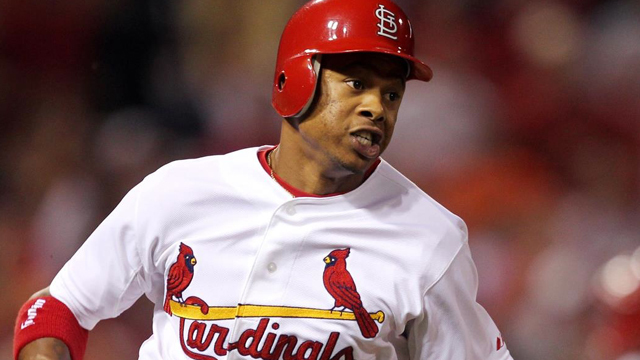 CHAMBERS, 27, is a veteran of 84 Major League games with the St. Louis Cardinals from 2011-2013. He averaged .216 (19-88) with a double, three triples and nine RBI for the Cards. The left-handed hitter signed a minor league contract with the Houston Astros this off-season and has hit .281 (25-89) with six doubles, two home runs and 15 RBI in 25 games for the Oklahoma City RedHawks of the Pacific Coast League.